When I was a freshman in high school, my family of seven crammed in a minivan and drove from Washington state to southern California. There are many stories from that trip, but the one that seems to stick in my head the strongest was when my dad got lost and made an illegal u-turn on a state highway. 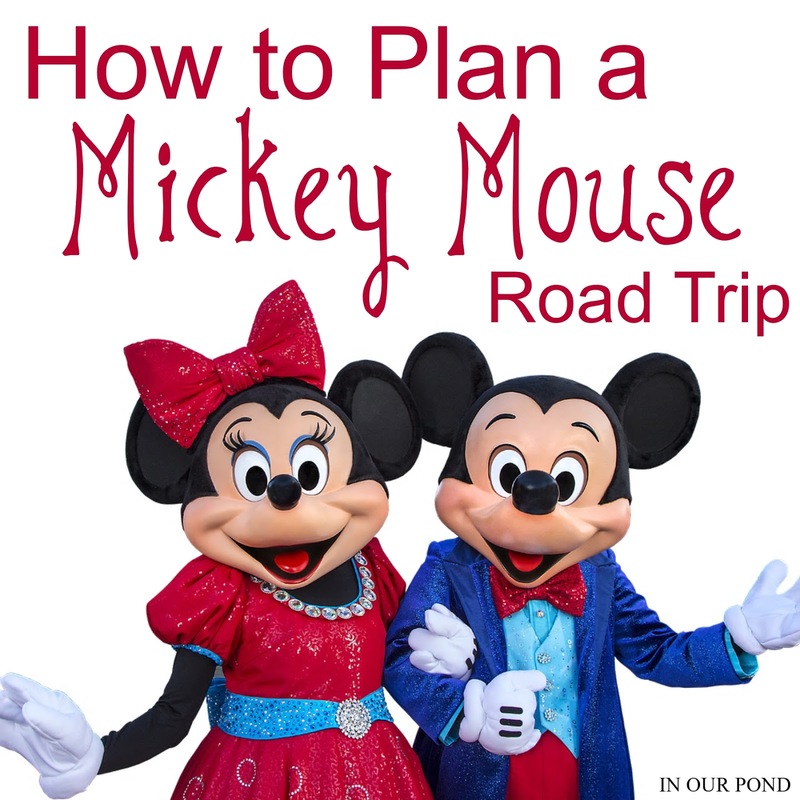 He was pulled over immediately, and explained rather sadly that we were just trying to "see Mickey." While I don't remember if we actually even saw Mickey at Disneyland, I will never forget the road trip getting there. 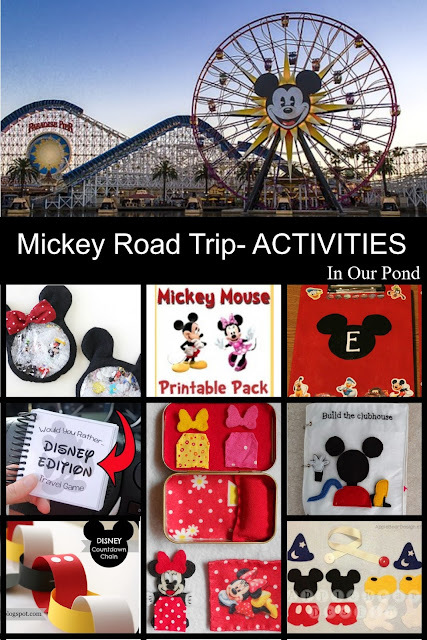 Even if you don't have any plans to visit Mickey this summer, you can still turn whatever trip you take into a memorable one with a Mickey themed road trip. My family loves our "party on wheels" trips. We've done a pirate one and a Moana beach one. 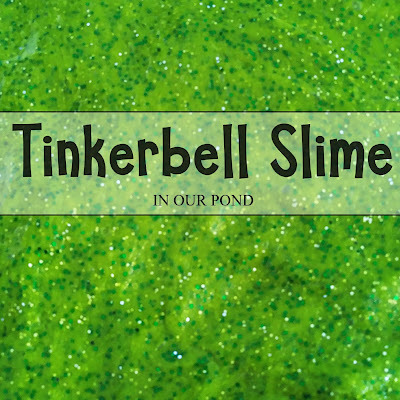 I love to plan them, so I have several theme ideas on this blog of ones that we haven't gotten to use yet. 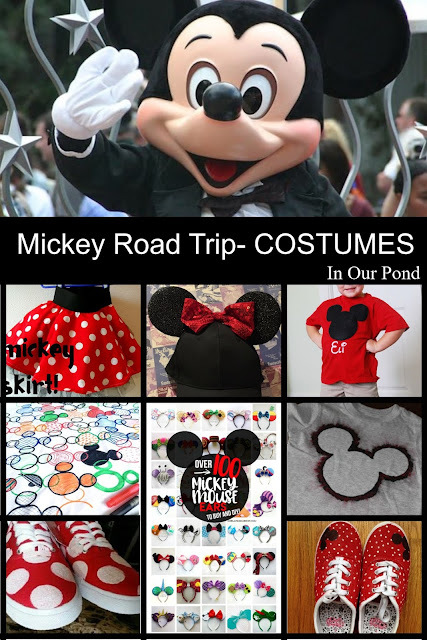 For this Mickey road trip, I have listed for you some of my favorite activities, foods, and costumes to go with the theme. The great thing about a "party on wheels" is that you can make them as elaborate or as you'd like. Something as simple as a t-shirt can really set the mood and an easy cut-out food ups the adorable factor by quite a lot. Shoot me a comment if you've done a themed road trip or if there are any other themes you'd like to see. A "Party on Wheels" is exactly like a traditional party- it's got to have food. Lots and lots of cute, themed foods. With Mickey, the food is easy, because a lot of bang can be accomplished with just a cookie cutter. 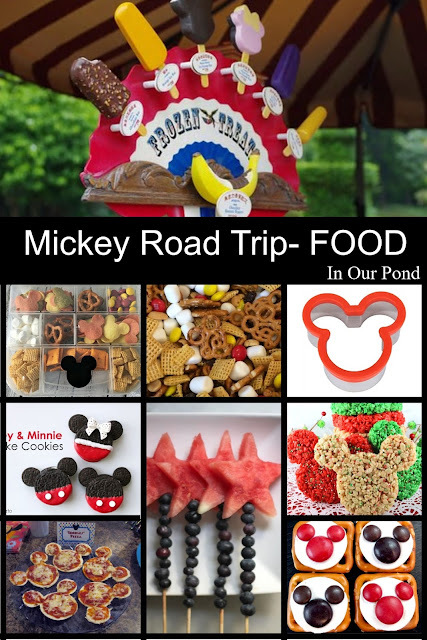 You can simply and cheaply make themed chips, fruit, cookies, sandwiches, meat, cheese, rice crispy treats, and more. Whether your road trip is three hours or three days, you'll need some stuff to entertain the mouseteers. 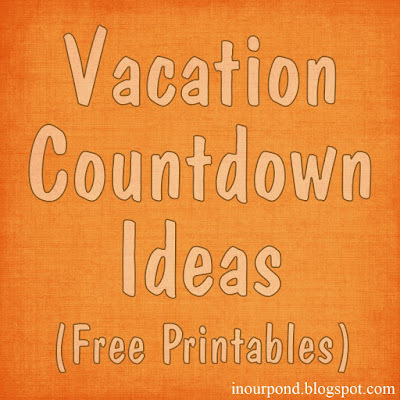 Most of these ideas are either printables or DIYs. Of course, it's also pretty easy to pick up small toys or coloring books at the Dollar Store too. 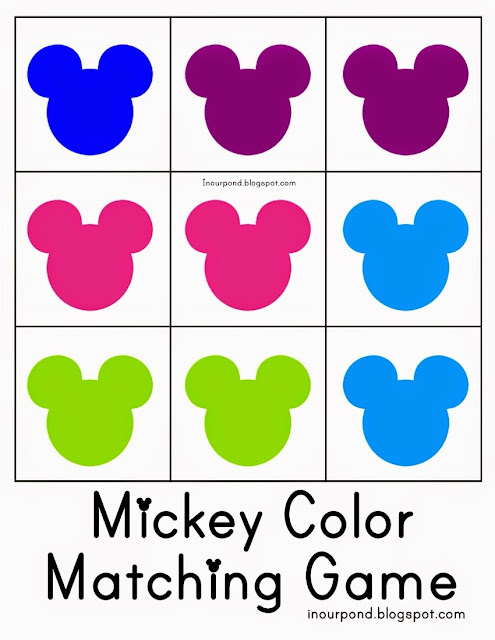 As I already mentioned, something as simple as a Mickey-head tshirt can really set the mood. Check out the post by A Girl and Her Glue Gun for over 100 styles of Mickey ears- so fun! 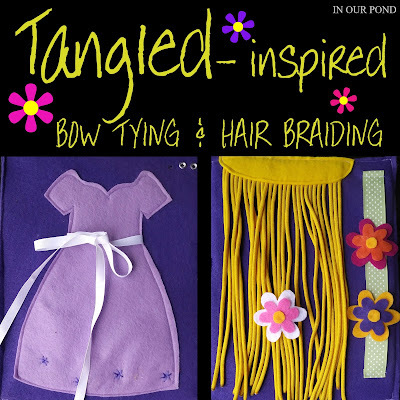 You could also do a full costume. Of course, make sure that whatever you're wearing is comfortable for hours in the car.